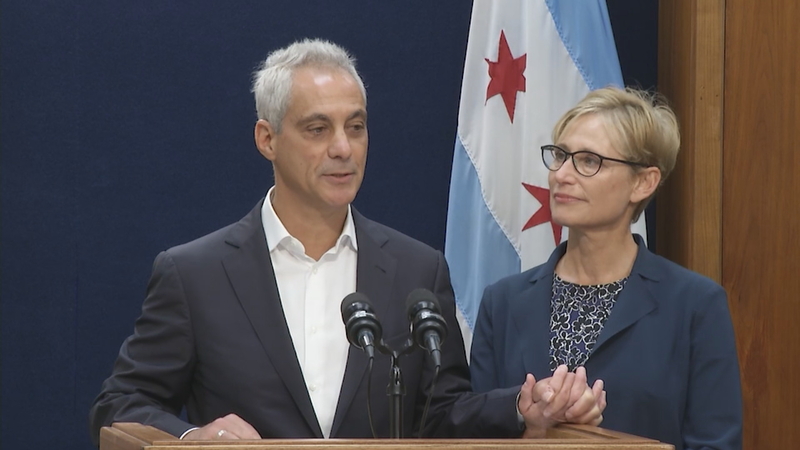 It’s been nearly a week since Chicago Mayor Rahm Emanuel made the shocking announcement that he won’t run for a third term, and the already wide field of mayoral hopefuls continues to ebb and flow. Retiring Cook County Clerk David Orr, who served as interim mayor in 1987, told Chicago Tonight on Monday evening that although he considered running for mayor because he cares so much about the city, he decided to stick with his original plan of going to the private sector. Orr says he will stay involved in Chicago politics, however, with plans to use a political action committee to elect a mayoral candidate and aldermen who share his views that the city needs “redirection” – a greater focus on neighborhoods, and addressing inequalities. Orr said it’s too early to know who that mayoral candidate will be. Two potential options surfaced on Monday. State Rep. LaShawn Ford, D-Chicago, said West Side-elected officials voted to open an exploratory committee on his behalf. Summers is one of many current officeholders who could set off a game of musical chairs should he decide to aim for higher office. • Illinois Comptroller Susana Mendoza, who has said she is focused on her bid for re-election but who did not rule out a mayoral run; some of her backers hope volunteers will begin to pass out petitions on her behalf. • Cook County Board member Jesus “Chuy” Garcia, who as Democrats’ nominee for the seat now held by retiring 4th District Congressman Luis Guiterrez has an easy path to Washington D.C.
Latino leaders are expected to meet this week to attempt to coalesce around a candidate; Garcia and Guiterrez are the names most often mentioned. Also unknown is whether any of the already declared candidates will drop out of the running, particularly if another candidate enters who will siphon off their constituency. Democratic campaign strategist Tom Bowen cautioned to be wary of emerging polls that portend to put a candidate in the lead, especially with a field far from settled. The steady media stream of “will s/he, won’t s/he” scenarios pondering who enter the Feb. 26 contest threaten to distract voters from November’s upcoming crucial midterm election contests for Illinois governor, attorney general, state legislative and congressional seats. Bowen says that portends well for Democrats, who “have a pretty strong current of voter support” right now, but that could spell trouble for candidates who lack money, name recognition or are attempting to upset an incumbent in a swing district. “If you are a statewide campaign trying to get some attention to your race, Chicago mayor is now blocking you from getting a lot of media coverage,” Bowen said.